Are you a burger fanatic searching for a new place to watch your next sporting event? We interviewed John Carmody, a T.R. McKenzie resident and Restaurant Manager to hear why we should all be dining at Monks Bar & Grill in Middleton. 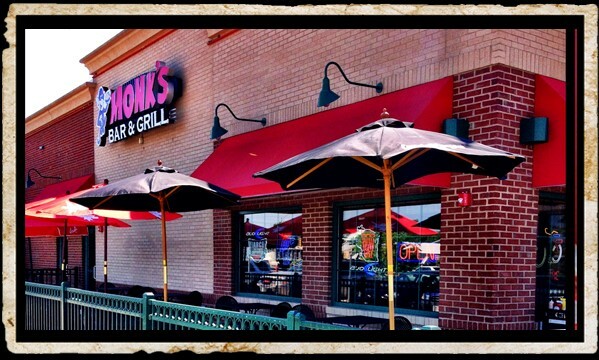 LeighAnn: What is the atmosphere like at Monks and what kind of experience can diners expect to have? John: Monks has a unique family friendly atmosphere. The combination of family and friends, along with the sports bar theme, keeps everyone interested in the experience. The kid’s meals on Frisbees for the little ones, and beer & wine for mom and dad help with the overall experience. L: Are there unique menu items that Monks offer that other restaurants do not? J: I believe that Monks offers a unique and quality experience with every meal. We are known for our burgers; but you can enjoy any of our menu items day and night. We are always listening to our customers for new ideas. The client opinion always drives the food that we put on our menus. “If it’s good, well do it!” Everyone should check out our Friday fish fry! L: The restaurant does so well…what is their secret to keeping customers coming in? J: I can’t speak for the people who put in the work before me. All I can say is that we (as a restaurant) value the people we work with and the customers even more. When you are around people everyday you become a family and a team. That teamwork creates an environment that people want to be a part of. I like to refer to us as ‘neighbors’ because that is the feeling we want people to get from our staff. L: With such a variety of dining options in the Middleton area why should people choose Monks for their dining experience? J: At Monks we always put our customer at the forefront. We strive for an atmosphere where you can come in and enjoy your meal within a time period that is acceptable and enjoyable. The food will match your service. Every experience is meant to be timely, friendly and delicious! L: Can we expect to see more locations in the near future? J: Monks is an expanding business. We are looking into franchise options for the future. As of now we have just Middleton and the newly opened Sun Prairie location for the Madison Area. The goal is to bring Monks to the public 3 more times in the next 3 years. Who doesn’t want more of a good thing?! 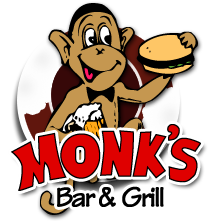 Check out Monks Bar & Grill in Middleton or Sun Prairie! Want to feature your business or hobby or anything cool you are doing? Contact us at Jessie@trmckenzie.com.